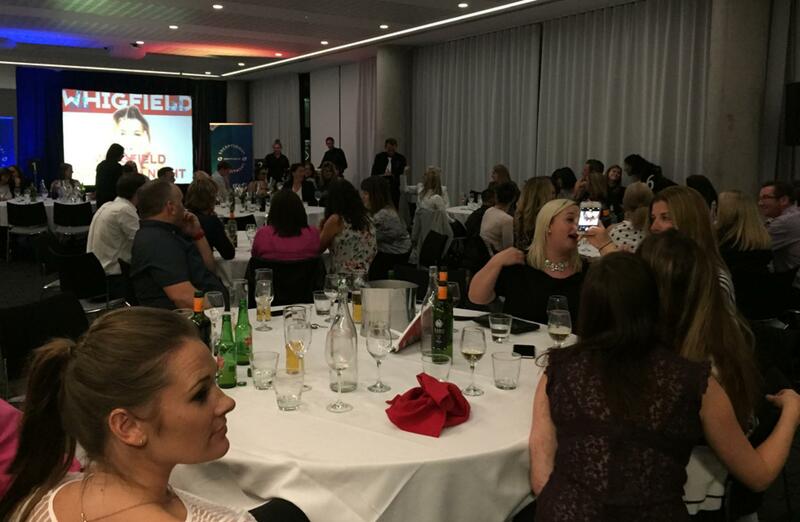 What an amazing evening of entertainment we had at the beautiful Innside Hotel in Manchester City Centre. 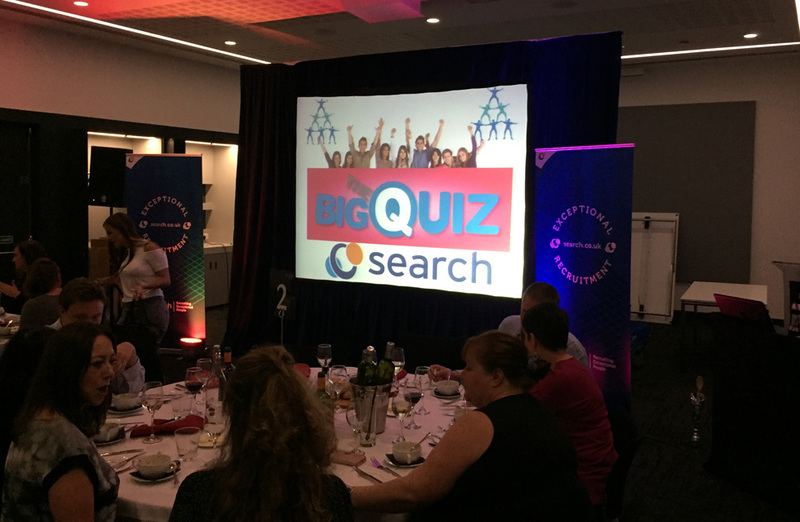 Team Challenge Company had the pleasure of hosting the ever so competitive Big Quiz for the teams from Search Consultancy. 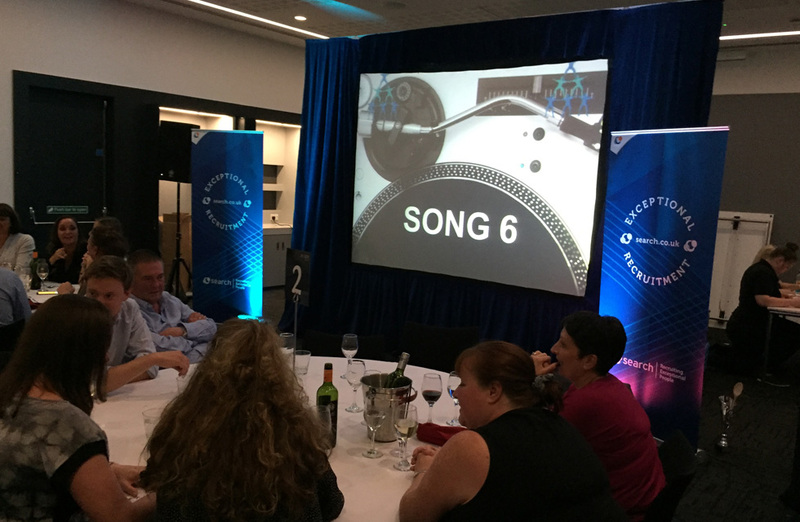 From the word go it was clear that team 8 were desperate for the win, as we kicked off with the first round of Hit or Miss, seeing each team trying to figure out whether the song we played was a massive UK number 1 or didn’t quite make the cut! It all came down to two final tables, but unfortunately they selected the wrong answer seeing no teams take home any points this time. 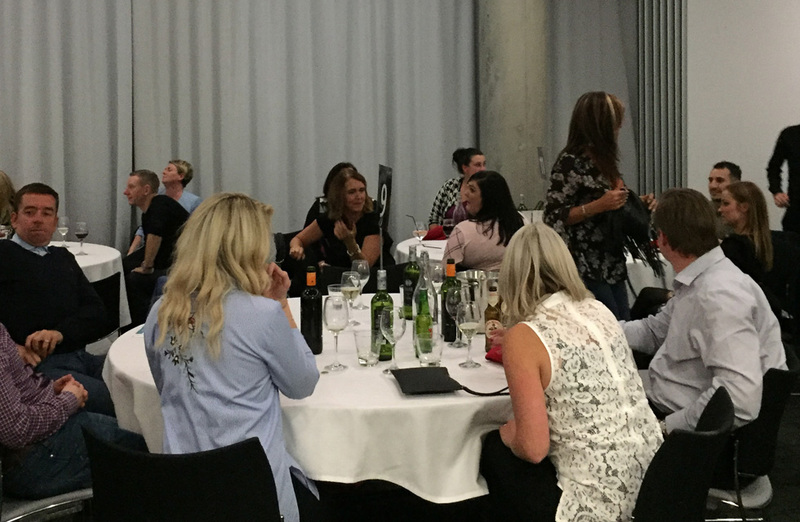 As starters were served everyone was eager to see what was next and it came in the form of Guess Who, as the different celebrities appeared on the screens in disguise Table 14 had it nailed with a clear ten out of ten. This was followed by Guess the Landmark, and it was clear to see who was earning the big bucks and able to jet off to all these places, with a staggering score of eight out of ten, which for one of the most difficult rounds was amazing! As dinner was being served we prepared for the next barrage of questions with Name the Movie, the hard way, making sure that if the pictures they saw of famous films had a sequel they had to give the correct name! This threw a few teams, but not the film buffs with a great score of 9 out of 10, with all other teams averaging five!! Questions in Sport quickly approached before dessert, this one was tricky!! 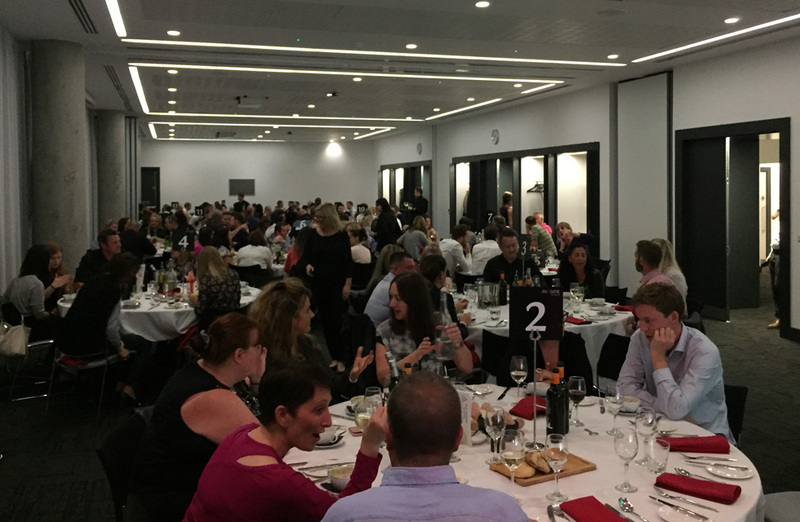 With questions coming from all types of sports, from Archery to Basketball, Golf to Martial Arts, this round seemed very competitive between Table 6 and 7, but Table 6 just crept ahead with one extra answer correct to take valuable points. We’d mashed up some logos from famous brands for the next round, seeing who had the keenest eye out of the fifteen tables competing. Some were easy and others not so, but all the teams had a clear knowledge of the brands scoring some excellent points. Another challenge shortly followed after the teams had indulged in there desserts. It was a round that no quiz would be complete without - the General Knowledge Round. Some were proving to know a bit more than others, but on average gaining a steady 6 out of 10 per table. It was the moment of truth the final round, Name That Tune! This was an important round as it was too close to call at the top!! 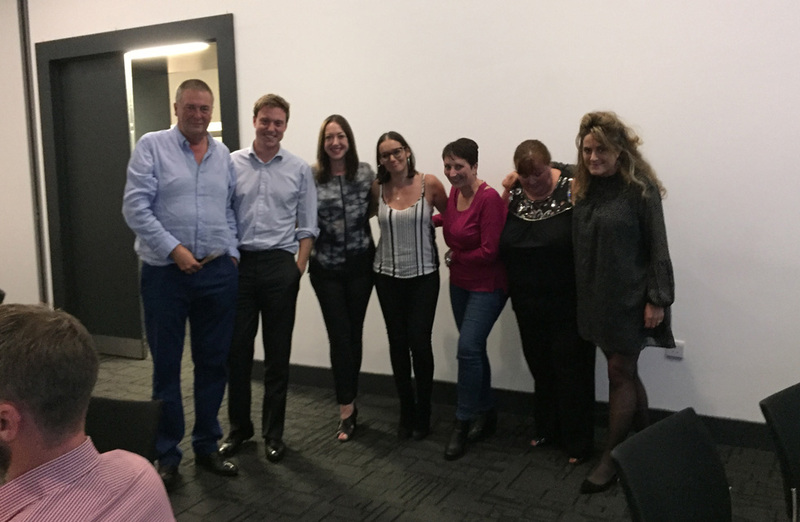 It was clear that the teams music knowledge was dated but still on form, but it did see our winners take the lead! 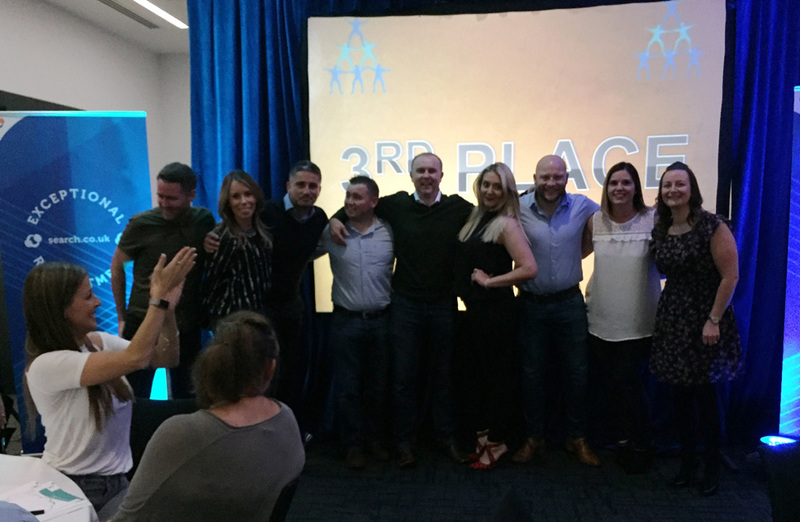 As we totaled up the score, unfortunately it was Table Number 2 who hadn’t bribed the Quiz Master enough as they made their way to the front to take the wooden spoon of shame!! The victors on the day, taking home the much sought after Team Challenge Company Trophy was Table 14, who took the trophy with great pride. It was a great pleasure to have met all the team and hopefully we see you all again soon for some more fun competition! Always a great pleasure to work with Janine for their annual awards night entertainment, and no doubt this year was a wild and wacky as ever! 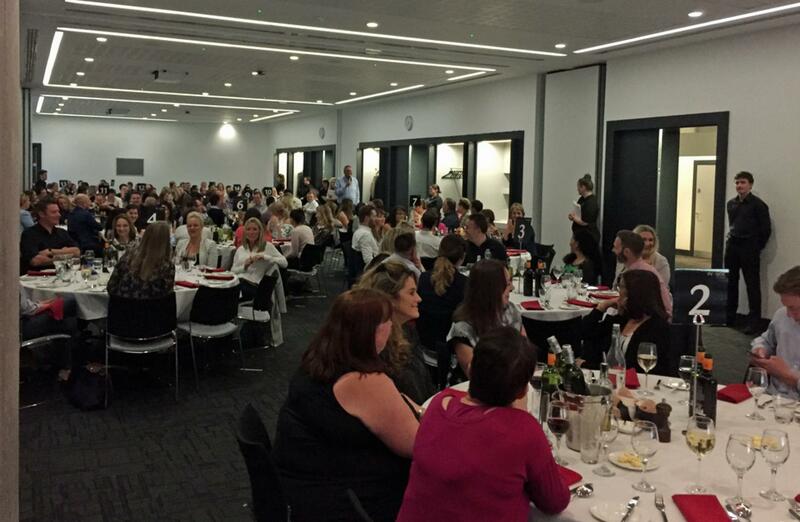 Certainly from the photos, it is clear to see that the entire team from Search Consultancy enjoyed a fun-filled and highly competitive evening of Big Quiz entertainment, and we're already looking forward to next year and the Big Quiz Re-Match!